Frontier Airlines Flight 260 was forced to make an emergency landing after a piece of an engine cover ripped off the plane. 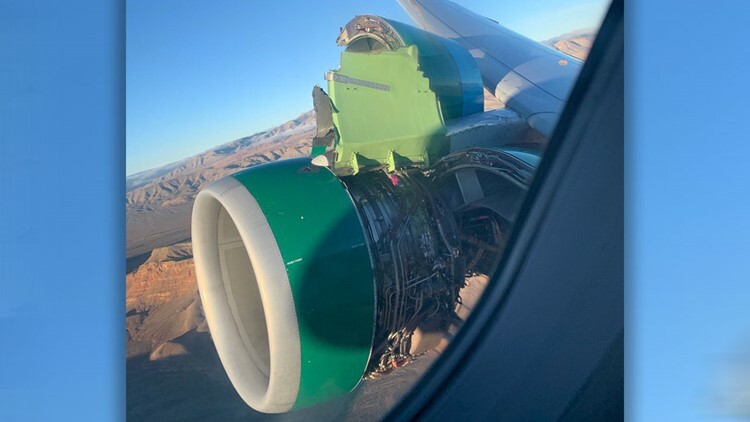 LAS VEGAS, Nev. -- Part of the cover ripped away from one of the engines on a Frontier Airlines flight from Las Vegas to Tampa, forcing the airplane to circle back for an emergency landing Friday at McCarran International Airport. The piece, called a cowling, came loose during takeoff and separated from the plane. Once the pilots realized what happened, they immediately declared an emergency and landed the plane safely just before 7:30 a.m. The Airbus A320 had 166 people on board, including passengers and crew members.